The golf courses in Estes Park have some of the best scenery in the entire country. 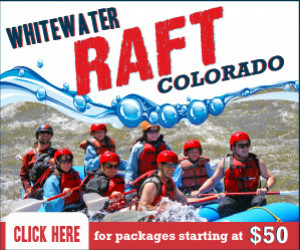 Enjoy the surrounding Rocky Mountains and the wildlife that wanders through the open grass. Estes Park's 18 Hole golf course is one of the most beautiful courses in the United States. Tee-off and grab a drink at the Hangar Restaurant! Enjoy the beautiful scenery as you golf at Estes Park's 9 Hole course, even in the winter months! They're open year round. This course is 18 Holes, and has been recognized as one of most beautiful courses in the United States. If you are parched, grab breakfast, lunch, or a drink from the Hangar Restaurant. Location: Hwy 7 and Golf Course Road. Season: April 15- end of October. Big Thompson River flows through the course and feeds into Lake Estes. The views of the Rocky Mountains are gorgeous from here. 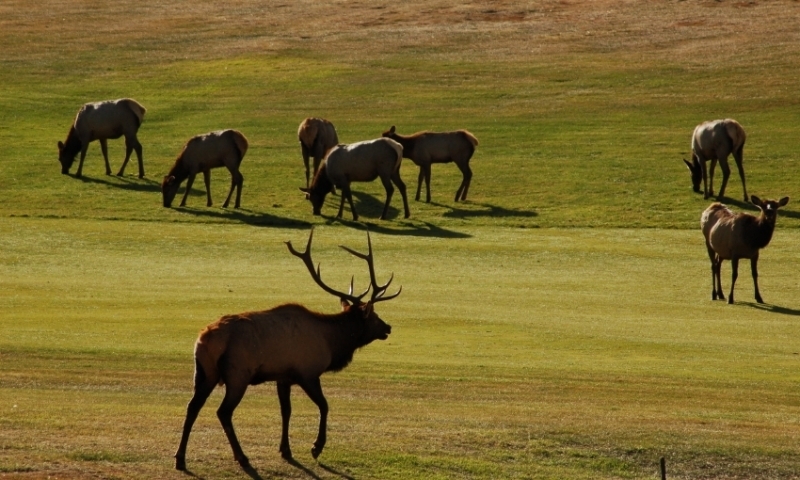 Usually you can spot herds of elk walking across the green. Location: 690 Big Thompson Ave. It will be on your right as you head into Estes on Hwy 34. Season: The summer season is early May to mid Sep. They also have a winter season! Nov 1-mid April offers winter golf.